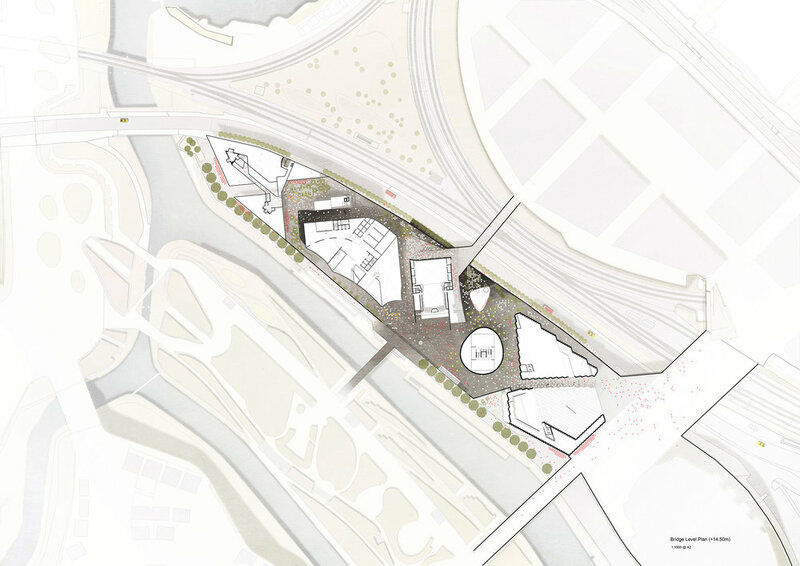 At RMA, we were shortlisted with Ramboll as one of the six finalist teams to develop a fully coordinated and costed design for a major new cultural and educational space at London's Queen Elizabeth Olympic Park. The landmark £400m cultural complex incorporates a new Victoria and Albert Museum East, Sadlers Wells, University of the Arts and home to the Smithsonian. Coordinated across four time zones, we led an international design team of RCR, Jun-ya Ishigami, SO-IL, Ab Rogers, and Gross Max to generate a highly original urban space and detailed proposals for the four institutions for the London Legacy Development Corporation (LLDC ロンドンレガシー開発会社). The dense site considers how this peninsula site must reflect the ambiguity of the context, addressing both urban and park conditions. Role: Project Associate lead design process and coordination of team to a final shortlisted submission (RIBA Stage 3 Costed).